Welded Wear Resistant Pipes/AR400 Pipes, AR400 steel pipes, Manufacturer, Exporter, Supplier, Mumbai, India. AR400 steel pipes can be subjected to most of the usual fabricating operations. Ductility is good. It bends well, flattens, cuts, punches, flares and flanges easily, and can be welded by the commonly-used techniques and practices. Welded Wear Resistant Pipes is used every bit as a part of regions where there is prone to be a high degree of abrasion area or wear of the steel plate. Average applications are in truck couches, connections to diggers and earth movers and in preparing applications in the mining business. The key quality for wear resistant steels is their hardness. We offer wear plate as per its hardness measured on the Brinnell Hardness Test- for the most part in 400HB evaluations. 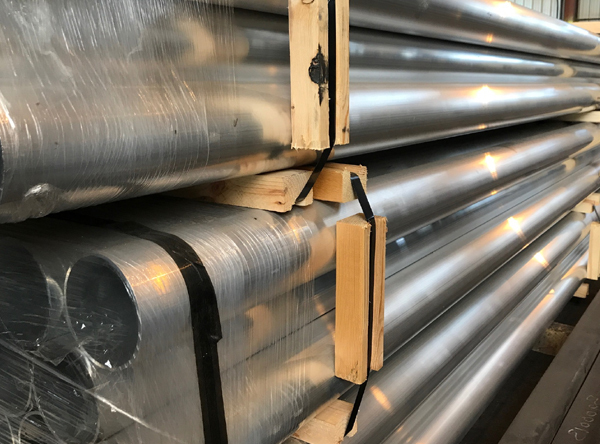 400 HB steel is in excess of 3 times harder than soft steel (120HB), even only a third as strong as stainless steel (1250HB). Sample exercises are for development apparatus, skips, bulldozers and excavators, buckets and conveyors. The steel is extinguished which gives wear safety; to enhance hardness, it might also be tempered. Bring down HB's for the most part give great cool twisting properties and great weldability. Weldability is not, by and large lessened as the hardness increments. Wear resistant steels are not fitting for utilization at temperatures in excess of 250 degree C as the hotness can result in changes to the material properties. Yields for 400HB steel are in the region of 100MPA with tough qualities of around 1250MPA.